Whether your a Supporter, Friend, Patron or Partner, annual giving contributes to on going company work, dancer training, concert production and administrative operations. Your annual gift makes professional dance in Jacksonville a reality. 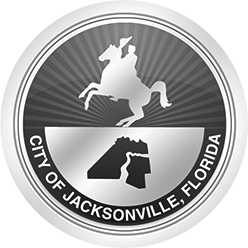 Jacksonville Dance Theatre, Inc. (JDT) is a 501(c)(3) tax exempt organization. Donations to JDT are tax deductible to the extent allowed by law. Florida Department of Agriculture & Consumer Services Registration #CH43076. "A COPY OF THE OFFICIAL REGISTRATION AND FINANCIAL INFORMATION MAY BE OBTAINED FROM THE DIVISION OF CONSUMER SERVICES BY CALLING TOLL-FREE (800-435-7352) WITHIN THE STATE OR VISITING www.FloridaConsumerHelp.com. REGISTRATION DOES NOT IMPLY ENDORSEMENT, APPROVAL, OR RECOMMENDATION BY THE STATE."